Tasting Notes: Only 10 percent of California wineries have a woman at the helm, but with talented people like Virginia Marie Lambrix of Truett Hurst, we hope that will soon change. 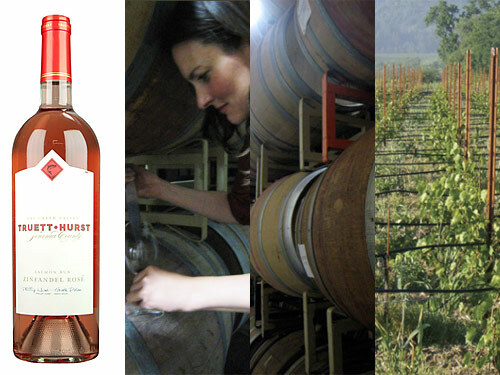 Lambrix, the vintner for Truett Hurst, also makes wines from her eponymous vineyard VML, whose rosé of Pinot Noir we featured as Wine of the Week just weeks ago. This time around, it is her Truett Hurst 2013 Salmon Run Zinfandel Rosé that caught our attention. The Zinfandel-Syrah blend boasts aromas of peach and raspberry, with luscious wild strawberry and honeysuckle on the palate, making this lively rosé perfect for toasting Women’s Equality Day.